More and more of us are becoming more conscious about where our food is coming from. About how processed it is, about how our meat is farmed and about the nutrients the food we eat contains. While a lot of the supermarket products have a long list of additives and ingredients that sound like rocket fuel, and the ingredients in restaurant meals seemingly difficult to obtain, there’s another kind of experience that you can opt for. Throughout the UK, there are a number of farm-to-fork restaurants. This means that all the produce is grown or reared on site and makes it straight to your dinner plate from a stone’s throw away. So you can be assured of it’s freshness! If this sounds good to you then here are a few of the best places you can try it. Down in the the Somerset village of Bruton, Hauser & Wirth first opened as an art gallery with gardens designed by Piet Oudolf. Once art lovers from all over the world started travelling to see it, the place soon started to capitalise on this and opened up their restaurant to cater for the masses. Their focus on sustainably sourced products makes their food humble yet tasty, and they serve breakfast, lunch, afternoon tea and dinner. 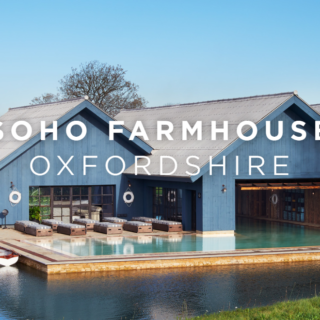 Soho Farmhouse is perfect for foodies and glampers alike. With lots of cabins to book an overnight stay, a spa and numerous options available for eating, this place has something to suit everyone. Whether you want the traditional farm menu in their main barn restaurant and mezzanine, a breakfast buffet feast in their haybarn or a taste of Japan in their Pen Yen grill restaurant, there’s certainly plenty of choice. 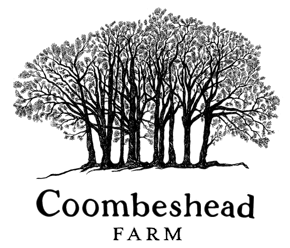 Set amongst 66 acres of meadows in the heart of Cornwall, Coombeshead Farm is a farm, five bed guesthouse, restaurant and bakery. With ever-changing seasonal menus, 5 course tasting menus and a truly British sunday lunch option, it’s a toss-up as to whether it’s the scenery or the food that’s best. 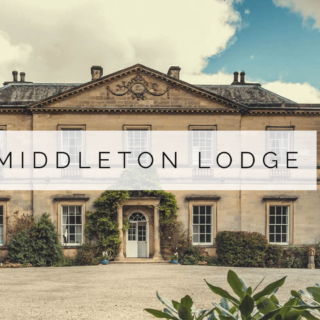 Everything about the restaurant at Middleton Lodge screams “Yorkshire”, from the beautiful surroundings to the dishes inspired by the local setting. This place is only set to go from strength to strength with a kitchen garden and additional restaurant set to open in 2018, serving modern British dishes with local ingredients and innovative flavours. For those who are way up north, Killiehuntly Farmhouse & Cottage is set up in the Scottish Highlands. The farmhouse is a mash-up of cultures that works extremely well, with Danish owners and a Scandinavian-style building, paired with the local Scottish produce. They serve good wholesome food sourced locally with in-season vegetables from their own garden.